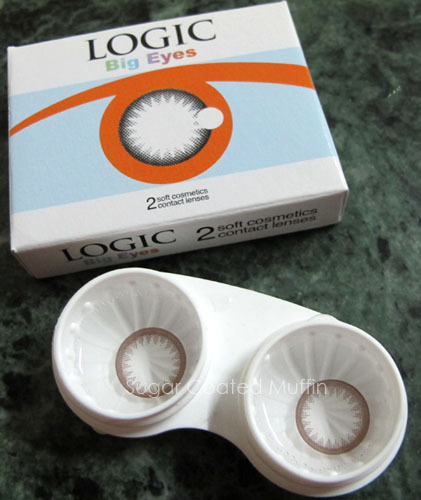 I actually bought a few more of the Logic lenses without even trying it cos the guy recommended it =/ Thankfully, it's quite nice. 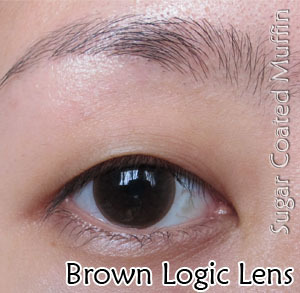 These are circle lenses without colour in the middle. Comparing it with my naked eye, there is enlargement and my eyes are brighter. Since it is brown, it softens my eyes and blends in really well. It looks very natural and not harsh at all. I'm wearing this lens here. Compared to the Black one HERE. See the difference? I would choose brown for a natural look and black for a more doll-like appearance. Just like the black one, it is a bit drying for my eyes so I don't wear this for long hours. It's quite comfortable apart from that. My conclusion : Will not repurchase for some time since I still have many pairs to wear >_< Comparing both black and brown, I think I prefer the brown as the black was too strong. For the promotional price of RM15, this is very worth it for a monthly lens. nice nice! 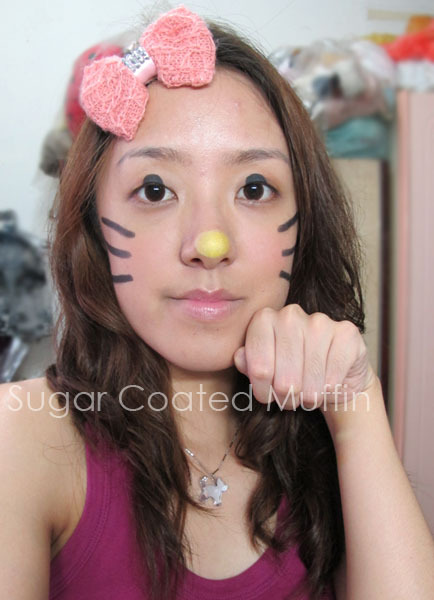 looks so natural too.. the hello kitty pix is cute!